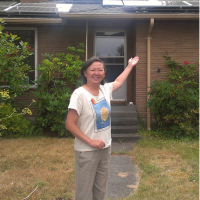 Learn about solar options, maintenance, incentives, and financing. Meet representatives from the community-selected installer, lender, and utility, and ask all of your questions. Once you attend a workshop, you can receive a free site assessment and apply for grant to help pay for it. This workshop will be part of Homestead's annual member picnic at Pritchard Beach. Times are tentative.